Built as early as 1795, this Federal-style house once stood on Ironworks Pike, in Scott County. 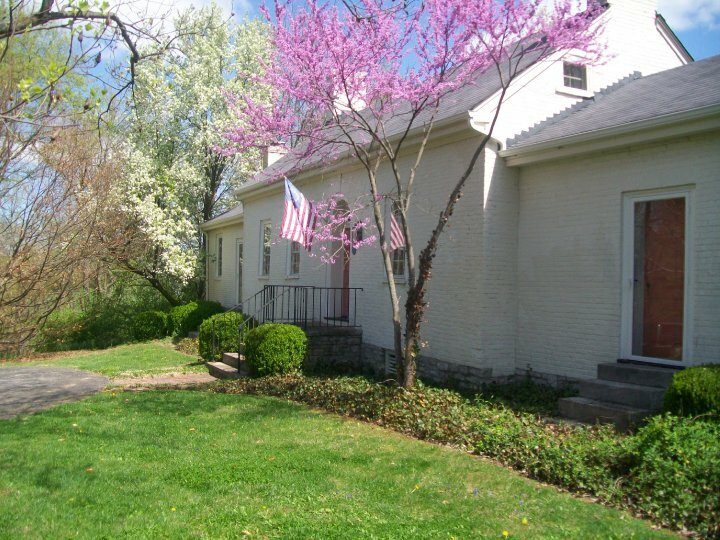 The house was moved in April 1971 to its present location near Midway, in Woodford County. Thus, the new name Scottwood reflects both the old and the new locations of this beautiful 9-room country estate. The picturesque scenery surrounding Scottwood is some of the most beautiful in the area. You'll love the views of neighboring horse farms or the dazzling sunsets as you linger by the South Elkhorn Creek which runs through our 5 1/2 acres of property. Whether your interest lies in exploring historic sites, photography, hiking, fishing (some sections of the Elkhorn are great for bass fishing), picnicking, or just a quiet canoe ride, the Elkhorn and the Bluegrass Region is a place you'll want to return to again and again.